As the calendar flips to the start of the year, many people take the time to reflect and make their New Year’s resolutions. 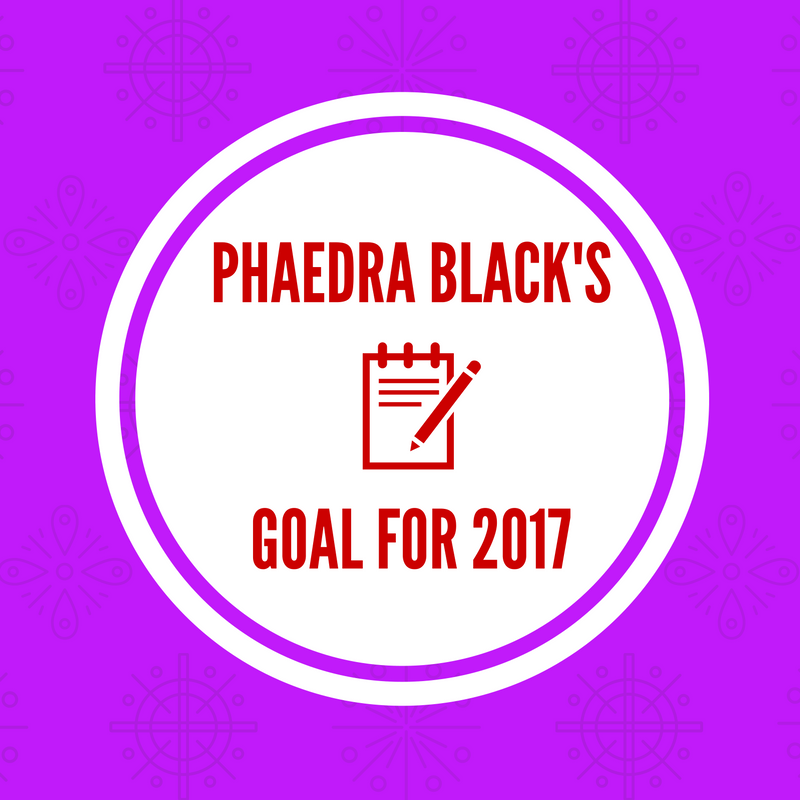 I am using the obligatory time to create my burlesque goals for 2017. The past year was rough on both a macro and micro level for me, so part of my reflections entailed deciding how “tough” I wanted to make my burlesque goals. Last year I created a few S.M.A.R.T. goals and even detailed the steps needed to achieve them. However, best laid plans don’t always turn out as we hope. I wanted to perform in 31 non-shows, and instead, I got to 17 non-festival shows. Instead of increasing the number of shows from 28 in 2015, I decreased. Needless to say, I’m a bit disappointed in this number. Skill improvement – I had an ambitious plan for increasing my private rehearsal time. Many of the times I blocked off for “rehearsal time” ended up being spent on the computer working through administration work for either Better Boobie Bureau or the Windy City Burlesque Festival. For rehearsal time in 2017, I am contemplating renting studio time once a month so I have a firm place to go rehearse, plus the financial aspect of renting a space will keep me accountable (I paid for this, I better use it). On the plus side, I took up ballet classes in 2016. I didn’t go every week, but I went quite often and discovered a few things about my body. In 2017, I am looking to start taking stretching classes. Networking – Truth be told, I slacked majoring in the networking. I was feeling awkward, antisocial, and depressed due to “muggle” life things like job searches and plumbing issues. I started making efforts to be a bit more social as well as dig myself out of my depression toward November. Those efforts, while sometimes rocky, seem to be helping. On top of the networking for 2017, I would also like to explore strengthening my social media/web presence by scheduling posts and writing on this blog more (I’m already working on a post exploring my artistic process for my Hillary Clinton act, stay tuned). One goal I am happy to say I accomplished was to perform outside of Chicago in non-festival performances 4 times. I was able to perform in Kansas City for Annie-Mae Allure’s Rude Review, Indianapolis for a fundraiser produced by Barbacoa Jones, and Bloomington, IN twice for Roxy Bordeaux! And it truly brought so much joy to meet other performers, see what the communities are like in other places, and learn how other producers run their shows. I missed the mark on my last goal: performing at more festivals. I’d be lying if I said this one didn’t sting a little. I applied to 7 festivals and was accepted to 1, which happened to be the one I helped produce. But when it comes down to it, there are just way too many factors that are not in my control. All I can do is continue to create, refine, and apply. I can at least say next year is already off to a great start as I’ve been accepted to The Great Burlesque Exposition with one of the acts I created this year. So I’m just chucking this one up to being a fluke, but will still work on bettering my acts and recording them again when they are more up to date. Like many of you, I’m just happy to put 2016 behind me. I’m ready to just take a couple of its lessons with me and move forward. 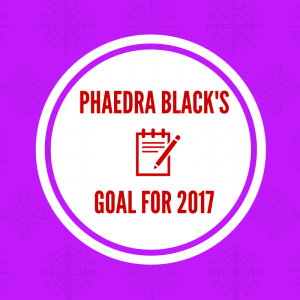 I’m still dealing with the concern of finding a day job that will provide me with enough income to be able to invest in more classes and workshops, so I wanted to keep my goals pretty simple this year. So I have one main overarching goal. In 2017, I will aim for 100 rejections! Sounds like a weird goal, right? I just talked about it sucking that I was rejected, why aim for more? Don’t worry, I’m not setting this goal to be snarky. For one, it takes the sting out of being rejected, because it’s integrated into the overall goal. Another thing, it will encourage me to pursue more and more opportunities. I have to ask for at least 100 opportunities, probably more. Chances are that I’ll get some acceptances along the way. Each no brings you closer to yes! And even if I don’t get acceptances, some rejections also come with a chance for a conversation that may lead to some other improvements to my art. This goal is inspired by an article Emma Glitterbomb posted on Facebook. And I’ve made this a S.M.A.R.T. goal too: Specific, Measurable, Achievable, Realistic, and Time-Bound. So this year I deem the year of #project100rejections! I would love to see if some of you will join me! I’m really looking forward to what 2017 will bring to my little burlesque world. The rest of the world however? Hopefully it won’t be as bad as 2016. Maybe? Hopefully?